They have one level of volume LOUD. They will find dirt where no dirt has ever been found. They wear cleats in the house. They run everywhere they go. They have an inhuman burst of energy around 7:30 p.m. and it’s best to let them get it out before attempting bedtime. They are incredibly curious, making everything an adventure. They will wake up on the weekend an hour before the sun comes up, but you will not be able to drag them out of bed for school. They have to be reminded multiple times a day to, lift the toilet seat, put the toilet seat down, flush the toilet, wash their hands…with soap, and to keep their pants on. They smell like wet puppies after playing outside. Whether it be for 5 minutes or 2 hours. They consider anytime a good time to get dirty. They don’t understand why I would ever want to have privacy. They give real hugs. Not the ones where you barely connect. The ones that squeeze all your breath out. They use any opportunity to be naked. The less clothes, the better. They crave love, affection, encouragement, admiration and security as much as any of us girls do, they just don’t show it or need it expressed in the same way. They need the freedom to be boys. I came into this journey of mothering boys with no prior knowledge of how often they were going to use the word poop and think it’s the funniest thing they’ve ever heard. I entered into this commitment of motherhood never realizing that I would be considered the one with odd body parts. Bella was my only one for 8 years and I have to be honest, nothing could have prepared me for the reality that is raising two boys to be productive members of society. It is incredibly challenging, always an adventure, hours of laughter, many conversations that I don’t know the answers to, lot’s of prayer, goodnight kisses on the forehead, holding little hands while walking down the stairs, several, “I’m sorry for yelling” confessions, stock in Costco sized clorox wipes, a much larger grocery budget and a constant sense of wonder. It now makes perfect sense to me why Chris has 2 first aid kits in our house and 1 in each car. I didn’t understand it at first, now I am so grateful for his prior knowledge of skinned knees, bumped heads and random cuts laden with dirt. I’m thankful for his preparedness for the unexpected. I’m okay saying, “Go ask your dad.” when the boys come to me with questions about body parts I don’t have. I’m okay letting them know that I don’t have all the answers. As long as they know they are loved. As long as they know they are enough. As long as they know their Creator. The days when they pull their hand from mine when walking down the sidewalk because they need to run, will be okay. When I’m doing my daily round of toilet cleaning, I thank God for these little men that He is trusting me to raise. I love being a mom to boys. Okay moms of boys, sisters of brothers, wives who had no prior exposure to behind the scenes with boys, what did I leave out? This entry was posted in Community, Family, Fun, Humor, Marriage, My Bella, Raising Boys (to be productive members of society), Wisdom and Truth and tagged Boys, Children, Daughters, Dirt, Faith, God, love, Sons by Joy. Bookmark the permalink. I grew up an only child, and now I have 3 boys! Love being the mom to boys, the good lord above knew exactly what he was doing!!! Everything said is the truth to a tee!!! Enjoyed reading!! This story is wonderful! I grew up with only sisters (twins at that- 5 yrs younger than me) Had my first son and then a daughter then a second son. So with 2 boys and one girl I can relate to you sooooo wellll!! Thank you for sharing!! I grew up with 2 sisters. Now my older sister has 2 boys, I have 2 boys and my younger sister has 1 boy. It is a constant adventure, and all 3 of us LOVE it! Being the mother of two boys who are now grown, I agree with all you said. The one thing I have to add is to enjoy it, they grow up to fast and I miss all the noise and confusion!! Wow! As the Mom of two daughters and soon to be grandma of a grandson, I have often said that “God didn’t give me one drop of whatever it takes to be the Mom of boys”!!! After reading all of these comments, I’ve learned A LOT!!! I am looking forward to getting a first hand look at what raising boys is all about. Just wait till they are teenagers & young adults…still just as chaotic, but the choices they make are so far out of your control….I have found if I just let go and let God, He does a much better job than I ever did. Loved this and shared it with our daughter in law who is expecting their 4th boy near the end of May. My wife and I have 2 sons and 3 younger daughters. All grown now. One thing I would add to your list…boys love to play in water. I have seen our boys taking a tub bath with snorkel and mask! Also any running water outside either in a ditch or creek MUST be explored and experienced first hand. I can remember many times after a rain the boys and I in the running water ‘racing’ sticks down the ditch. I bet over the years we have thrown a ton of stones in the creek just to see them splash. The other good thing is that I get to do it again with the grandsons! I would add that when you raise a little boy who has a little sister… you see a side of them you’ve never seen before. The way the take care of them, watch after them and protect them. They were a big ball of rough and tumble until a baby girl is brought into the picture. You see kindness.. gentleness.. just all the things you never would expect to see in a wild little thing. I had a boy first. And when my baby girl came into the picture I saw him be a different kind of loving. You can’t prepare yourself for the moment your handsome man looks at his baby sister and tells her she is “a beautiful princess” and he “loves her to the moon and back and then some”, all without being coached through the compliment. This is so precious, Maegan and what a great way to prepare him for the woman he will fall in love with. One of the things I’m trying to stress with my boys is how important it is to be attentive when a young lady is talking to them. My boys have an older sister and she is helping them as well, but I think it’s different to have a younger sister who you are protecting. Pfft. All my older brother saw was an interloper who could be used as a punching bag. Older brothers should be shot. The only thing I would add is collecting things in their pockets……rocks, acorns, pecans….anything on the ground. Many times the pockets were so full the pants were hanging. Fortunately I never found anything alive!!! I am the mother of three grown boys…..26,24 and 18…….my baby graduates from high school this year. Life has been spent at the baseball field, soccer field, basketball court, football field, cross country field, track, tennis court, and tae kwon do classes. I wouldn’t change any of it for anything!! The only thing we didn’t experience was #19. None of mine took things apart. I too came from a family of all girls but I KNOW I was meant to be the mother of boys! I love that your husband shared this with you. I’m guessing it took you down memory lane. I love to hear from moms like you with grown sons. You have so much wisdom for those of us who are still in the early years. They are such a blessing aren’t they? I am amazed daily by the amount grace and love God has shown me. Thank you so much for stopping by and taking the time to comment. Those little girls are blessings! Enjoy every moment. Congratulations. It is no easy feat to raise a child (boy or girl) to be a successful adult. It takes commitment. I love what you have written here, Diana. It is clearly from the heart. I was right there with you when you spoke of watching from the door as he and his daddy shared belly laughs. I have done that several times and depending on what mood I’m in there are either smiles or tears. It’s in these moments that I am so very grateful and feel highly favored to be the chosen mother for my sons. Thank you for reading and taking the time to share your thoughts and experience. It’s a beautiful thing. My boys are 12 years apart (now 17 & 5). One thing I have learned as a mom is how to wrestle and not hurt them. Boys are tough! They WANT and love to be thrown on the bed, (lightly) punched in the gut, and held down & tickled! They need to be able to rough house. They can’t do it at school, so you better learn how! It’s a great time to teach them the rules of not hurting while rough housing. It has been one of my favorite memories of being a mom of boys! Hahahahaha. That last statement made me laugh, Sandie. You are so right. They have to be able to wrestle and “play.” It’s hard for them to sit in school all day, paying attention and holding back bursts of energy. Love, love, love! I especially like “21.They need the freedom to be boys.” Too often, especially at school, teachers want little boys to be girls with penises. I feel the same way. I’m always hopeful that my boys will have a teacher who knows and appreciates the energy and temperament of boys. It helps so much when they act out. Just wait until you see the look on their face the first time they discover girls aren’t gross and he brings one home to meet you. The pride you feel when he holds the door for her and helps her into his truck that sits too high because he is a shining example of the way your raised him just beams from your face like a beacon to a ship in the night. The ache however in your heart that you are no longer the only woman in his world that matters is a strangely unfamiliar and yet inevitable. You are glad for it and yet it opens another unexplored chapter that is as wonderful as the last. I know it’s necessary and good. I know it’s inevitable. I try not to think about it too much so I won’t look past the beauty of today. Thank you for the encouragement and letting me know that it will be okay when “the other woman” enters the scene. I LOVE this article! I’m blessed with 5 amazing boys and everything you said is spot on! I laughed (they are always in their underwear, eat constantly and love saying poop) and even cried a little (love their bear hugs!) reading this post. I get so many comments when all my boys are with me, some of which aren’t very positive. I hear “poor you!” and “I only have 1 boy and that’s enough for me” among others. It can be frustrating to hear. I ADORE my boys and love being their mom! Sure our house is loud and crazy but I wouldn’t have it any other way! One day when I was pregnant with my 5th son, a lady approached me and asked if I knew what I was having. I told her another boy and braced myself for a negative comment. Instead, she said “Oh, how wonderful! The world needs more Godly men!” I almost cried! Whenever I feel overwhelmed, I think back to that sweet woman’s comment. I was at the store A year ago, we added baby #6 to our family, a girl. I was shocked to say the least! I thought for sure she was a boy and we had the name picked out and the room ready. When she was born and they announced it was a girl, I had to see for myself to believe them! She has definitely brought out the nurturing side of my boys and she has them completely wrapped around her tiny finger! I love knowing that she will be well protected and cared for and I smile when I see her run to then when they get home from school yelling “Bubba! !” with her arms wide open 🙂 Thank you so much for a wonderful post!! Oops, strike that “I was at the store” part! I didn’t get my daughter at the store LOL! I love your comments here! I can only imagine how lively your home is with FIVE BOYS! Wow! I’m so glad that God sent that wise woman on your path right when you needed to hear encouragement. I love the truth she spoke into your heart not knowing that years later you would still be keeping it at the forefront of your mind as to easily access it during times of difficulty. We never know what our words will truly mean to someone else. Thank you for taking the time to read and comment during what I’m certain is an incredibly busy day for you. Blessings to you and your crew. I read your comments while sitting in a waiting room and laughed out loud. This makes me laugh so hard, partly because of how true it is and partly because I can see one of my sons saying that to me. There is NO other experience like raising a boy ! I was blessed with one boy (my only child) and we found ourselves going it alone before he was even 12 months old. I was unsure how we would get through each day but we did it ! I was unsure how we would get through elementary school (3rd grade was a bear !) ~ how we would get through Scouts ( at Camp Old Indian) and earn merit badges ~ how I could keep him from getting hurt during hockey lessons, soccer and baseball (I couldn’t) ~ how we would keep from killing each other when we both signed up for fencing classes (yes, the sport of sword fighting) ~ how many gray hairs I grew when he told me he wanted to play drums in school band ~ how many green plastic army men and legos I would step on during the night going to get a drink of water ~ the phone call telling me he was on the way to the emergency room after falling off a horse, and the way he comforted me by saying “Don’t worry mom, chicks like guys with scars !” ~ the wrestling matches he engaged me in and he would say “Take it like a man!” as punched me in the arm and I would feign injury or “tap out” ~ his first heartbreak when he offered a valentine to a girl at a school party and she told him “boys are gross” and rejected a gift he colored himself ~ WELL, it turns out the lessons were as much mine as they were his. I love to camp now but my son got the merit badges, I can build a mean lego ship, I still have no desire to play hockey, I still find little green army men in my purse courtesy of my son’s sense of humor, We both DID learn how to fence and it really IS a sport ~ I learned to (ahem) “cover” my grays but cheer in the stands because this year he is captain of the drum line at his high school and they are a nationally ranked band ! He will graduate in just 6 short weeks from now, with honors, and it’s still just the two of us. He has a girlfriend who doesn’t think “boys are gross” and she makes him smile. He still talks about Camp Old Indian and hockey and how he got his scar. He’s ready to leave for college in the fall and talks about his future plans but I’m having a hard time letting go because he is still “my baby” (he hates when I call him that), I mean who am I gonna play “army” with ? I’m writing this through tears. I love the army men in the purse comment. While looking for my lipstick the other day I pulled out a plane made of legos from my purse. May I just commend you on raising a child on your own? I have the utmost respect for single mamas who make it happen. This is such a beautiful description of a boy’s childhood and relationship with his mom. I’m so grateful that you stopped by and commented. I really don’t think they are capable of walking. It is speed walking at best. My boys run everywhere! I love this! I’ve read SO many books and blogs about raising boys and the things that come along with….but I feel like this was straight from my mouth 🙂 Perfect! The times that I lose my patience (and feel like I’m always apologizing to them and feeling guilty) this brings into perpective that BOYS ARE JUST A DIFFERENT BREED! Funny enough, both my boys just came in from soccer practice this week and ran full tilt into my living room on our hard wood floor and I just about lost my mind!!!!! So that made me laugh that it’s really NOT that serious, just clean it up….there’s worst things in this world to be concerned with! We’re all in the same boat here, and I enjoy this crazy life….even though filled with talk of farts, balls and “boobies” all day long : )!! This made me laugh out loud. I wish I could count how many times in one day my boys talk about farts! And anything with the word “balls” in it, is absolutely hilarious to them. It’s always a messy adventure. I was raised in a home of three boys (and three girls), and my third son will be born sometime in the next few weeks. There are tons of tears, tons of noise, tons of laughter, and tons of life. You take the strength of the oxen along with their mess. Can’t wait to add some more mess! Oh my gosh! My oldest does that running down the stairs and jumping thing! In fact, we had a little girl over one day playing and she tried it. It didn’t end well. That’s never a fun phone call to make to the parent of the child you were watching either I truly believe that moms of girls thing we moms of boys are careless…or something. I get it. It’s hard to understand if you’ve never experienced the constant activity of a house with boys. I checked out both of your blogs. I hope others will too! Thank you for commenting. It’s always fun to hear from a man’s perspective. Congrats on your newest addition coming soon. Thanks much for your kind words, blessings, and support. I had no real understanding of little boys either and my mom only had girls so she was just as clueless as I was. One thing I didn’t see is that they are just as or more dramatic as girls as toddlers. This can be so true! Good one! I grew up with 3 brothers. And now I have 3 boys outside the womb, one inside. It’s definitely loud. I never remember my bro’s being this loud, but that’s because we grew up outside in the woods! I am the oldest of six, and the only girl. I’ve learned that no matter the age or the age difference the boys will always be protective! Your grooming them for how they will treat/protect their wife one day. Oh- and the injury rate. Way more trips to the doctor for concussions, stitches, broken bones. My adrenaline barely even goes up anymore. I just look at something now and go, “Oh…yeah..I think that one is stitch worthy.” Or…”Hmmm…yeah? Maybe an X-ray? Let’s get in the car.” I have a new heart of STEEL. I just had two sisters too! And my two boys were the first grandsons of 9 cousins as well 🙂 So it was entirely new territory- I LOVE love LOVE my boys! And as they get older- they still need want that touch/hugs- but some of them HATE to admit that. We have this whole dance in our house now with my oldest (almost 18) where he bribes me with hugs…”If you let me…I will let you hug me!” Lol. But I can tell he likes the hugs when I get them out of him. So sensitive. So tough. And SO MUCH FOOD from 15-17! This is too funny about the bartering with hugs. My youngest acts as if he doesn’t like hugs but then he will snuggle with me. I can’t imagine the stories you have from all those cousins! Especially if your boys are the only boys. Many worlds have been opened to me through these boys. I have learned to stop notice things that I wouldn’t normally, like worms in the rain water at the end of the driveway and leaves partially eaten by a caterpillar. I stress less. It’s wonderful. I cannot imagine having eight siblings! Wow! I bet those are fun filled reunions. Oh, how I love my boy. When I was pregnant and learned it was “OF THE MALE SPECIES” I was stunned. I didn’t know what to do or how I would begin to dress him or make him cute and so many other things. I was a sister, and still am of four and at the birth of my son, my daughter was already 13. I just couldn’t imagine how this could happen. But the day he was born and ( I know he did) he looked in my eyes it was joy and love and wonderment and curiosity and so much more. Fast forward 23 years and he is getting ready to graduate college. Everyday before school, and I mean everyday I receive a text that says simply: L U. LOVE YOU. it means all is good, I arrived safely at school and hugs and kisses. All from a simple L U. Boys will love you unconditionally. And when they speak to you, the mom, and they look you in the eye, you know you have raised a wonderful man. Even today we have many hour filled conversations and they are always from the heart. My daughter was 8 when my first son was born. It gave me chills to read your comment about looking them in the eye and knowing you’ve raised a wonderful man. That’s fantastic! Fabulous!!! I am a mom of 2 boys (and 3 girls) and a sister to 4. Couldn’t have said it better!! Boys will THRIVE and become strong, secure, productive, real men when raise by parents and grow up with siblings who live with the grace your post discribes. I certainly appreciate your comments. Love your article! I agree with all points and just have to add one. I am the mother of two boys who are now 21 and 16 and raising them has been the joy of my life. I always had to check their pockets before washing when they were little to see what kind of treasures I would find there. I was sure to find either little sticks, frogs or rocks that they had apparently thought were particularly pretty or useful! Another thing was that my boys loved each other so much and my older boy always was protective of his little brother and that has never changed! Such a pleasure and comfort for a mother to observe! I know! Sherri, my boys look out for each other and I love that. I’m so grateful! It’s nice to hear they will still be doing that as they grow older. The things I find in the washer are always entertaining as long as I catch them before putting them in the dryer. Nothing comes closer to ruining a dryer and load of clothes faster than an orange crayon or bubblegum. Blessings to you on this journey. You are so right. Boys will defy you to your face while girls go behind your back! Woah. That is truer than true. I think that’s one reason I always had more guy friends than girls (until I got older) and why I love having boys. I love that he feels the freedom to say that. Hi Joy! Agreed on all points (as a mom to three little boys). It’s random- saw this posted on Facebook, clicked, read and then, it dawned on me… I think we met in a class at imaging USA last year in Atlanta. I love that you stopped by and we reconnected. One thing about boys that I think is unique from girls is they way they express their emotions, particularly embarrassment and anger. VERY often, when a boy feels one or both of these emotions, it will manifest itself in tears. A boy who falls down in front of his friends is likely crying because he is embarrassed, not because he got hurt. Boys cry way more angry tears than girls (I HATE angry tears – how are they hotter than normal tears?). My youngest does this and it makes me so sad. Embarrassment is never good for them. I have definitely learned not to correct them in front of others. It leaves them feeling humiliated and angry. I don’t blame them! No one wants to be belittled or made to feel less than. Hahaha! Okay, now I understand Tracey! I was thinking hot like hottie. Thanks for explaining. I can be slow at times. Have a great start to your weekend! We have 3 boys and 2 girls…..and the 8 year old girl is the hungriest….The most reckless…and the craziest of all. They will beat each other up but will protest each other to a fault if someone else tries to. This is so true, Mark! I have 4 children – 3 girls and 1 boy 6,4,3, & almost 2. I had really expected (and hoped) that my 4th would also be a girl. I’m still not to the point where I’m ecstatic to be the mom of a boy. He is louder than the 3 girls put together, more destructive than them, and delights in pinching, pulling hair etc. He eats all the time. After a meal, he will scavenge whatever his sisters have left. He is a Mama’s boy, but he often finds ways to get on Mama’s last nerve. I love him dearly, but find him so much more difficult to raise than I do his sisters. I know it is so different raising a boy. I have heard from moms older than I that girls are easier when they’re little and harder when they get older. I think that’s true, but I also think that it depends on the child. Do you have support from women around you in the same stage of life or those who have been there and made it through? It’s a difficult season. We all need support. I would encourage you to seek out that kind of support. Hang in there. I can assure you your little boy loves you more than anything else in the world. I don’t normally write posts on internet articles, but I couldn’t pass this one. I loved your article. I was laughing the whole time, thinking OMG, that is sooo trueeeee. I am an older child of three, grew up with two younger brothers; I practically raised my brothers since my parents worked outside the home a lot. I loved raising my little bros, and I prayed God to give me couple of boys when I had kids. Well 🙂 I now have three wonderful, amazing boys. And I thought I knew everything about raising little boys, right? Nooo, I never thought they could eat so much, have this much energy, love their moms so much and love each other so much. This is so great, Arzu. Every girl wants to be protected. It sounds like her brothers are teaching her how someone else should treat her. It sounds like you all are incredibly blessed to have each other. Looking back, those were the best times of my life, even all the frustrating times. What I would give to be back there. I lost my son 6 years ago at the age of 26. He was the typical little boy, that when he went outside, dirt just jumped up on him. For my daughters birthday party, I thought I had placed the birthday cake where he couldn’t reach it, but when I got out of the shower, he had gotten to the cake and eaten frosting off the top. I had to make cupcakes really fast that morning! I would love to be there right now. I still have my beautiful daughter and I miss that little boy and all he got into. To all you moms, cherish each day. They are over way too fast!! I cannot even begin to know the level of pain you have walked through losing a son. I have friends who have lost children and they say it’s worse than anything else they could imagine. Sending prayers and light to you as I know that is a wound that doesn’t heal. Just wait til they become teen agers and think the their room is clean the way it is and the smell of their stinky feet start to take over the whole house. But I must say that even with all of our clash of the titan moments all the love that he gives is amazing! I can’t feed them enough now, and they a still very young. I can’t imagine feeding three teenagers…. Awe, Tammy, the comment about his little muscles made me smile. It does indeed go by so quickly. I have an 11 yr old son and a 4 yr old daughter. One thing not mentioned, big brothers are the best protectors. My son LOVES his little sister soooo much. He may get annoyed with her once in a while, but it’s never for long. From the day she was born, he has always looked out for her. From holding her as an infant when she cried, following behind her (making sure she didn’t fall) learning to walk, to now (he would say unfortunately) playing Barbie dolls with her just because she wants to. He is an awesome, loving, compassionate, protective big brother. The way you describe your son and how he adores his sister is precious. He is setting a high standard for the first boy who comes into her life. You are so very blessed! I really enjoyed this post, as well as the comments. I am a Mom to one little boy (2 years old). He is my only child. Constantly into EVERYTHING! He runs everywhere! We live in a small town in Alabama. So he is in the deep south. He loves jumping in mud puddles, and giving BIG hugs! I find myself using the words “come here!” More than I have in my 22 years on earth! I love every minute. He is learning to use the potty (well down here he uses a tree mostly!) My husband and I love our little man so much and he is our whole world! I so enjoyed reading what we have in store in the (very near) future! God Bless! You do have much to look forward to and it sounds like in the meantime you’re enjoying every minute! I have 2 daughters and 2 step-daughters. We now have 2 granddaughters and 5 grandsons. The girls are the oldest and youngest grankids. My daughters were more like boys growing up. My oldest can hunt, fish, drive a tractor and fix cars as well as any if the guys. She is finishing school to be an RN. My younger one still enjoys the all the things she did growing up, but loves to be ‘girly’ too. Our oldest granddaughter is all about being girly, not the youngest—she is right in the middle of everything with her 5 older brothers.Its never dull around them. Grandpa and i had a ‘date night’ last weekend only to end up staying with the boys while mom and dad took our youngest granddaughter to the ER after a bike wreck. Sometimes it gets a little crazy, but i wouldnt change anything. Love them all!!! There have been many times we have had to call on family to stay with two of our kiddos while we took one to the ER. I sure hope your granddaughter is okay! They are fortunate to have you! My friend (who has 4 boys & another on the way) directed me here & I just loved reading this & seeing what’s in store for me!!! I have 2 boys, one is 6 mos old & the other is 2 yrs old. I’ve already gathered the LOUDNESS is here to stay & am learning to deal w all of the daredevil climbing. Not looking forward to the smells….. ;). Fun read! Hahaha, I’m so glad you stopped by Kori! There have been many great contributors in the comments. I appreciate your taking the time to comment. You are right in that tough stage age wise. At least it was hard for me. As I type this my boys are seeing who can jump the farthest off our bedroom step onto the landing. It sounds like a herd of elephants is coming through the ceiling. I couldn’t read all the comments, so pardon me if I’m duplicating someone’s, but EVERYTHING is a trampoline, and everything can be ridden. Even if it isn’t supposed to be ridden. Everything has a winner; who eats fastest, who jumps higher, who flips better. So, I learned quickly to teach my son, who is 11, that “the last shall be first and the first shall be last” and to remind him that we cannot always win at everything. I want him to have confidence, and I want him to succeed, but I’m trying to help him find victories in someone else’s success, as much as he rejoices in his own. I love this blog!!!!! The funny thing is, as I am reading your comments my boys are seeing who can jump the farthest off our bedroom step onto the landing. It literally sounds like the ceiling is about to come down (I am downstairs). I can hear my husband up there cheering and egging them on. You sound like a wonderful mom to your son. You are grooming him for greatness. I love love this it brought laughter and tears to my eyes I have a 4yr old boy and a 6 yr old I relate to everything you said the one thing I think you left out was that anything can be a fort and the bath is not just a bath it’s a whole other adventure!! I love my buddies! Gina, you are so right! My son is my oldest child and is now 21. I’m not quite sure how he got there, lol. He is 6’5″ and does indeed eat A LOT to be so thin. He is country thru and thru, loving to hunt, fish, and anything to do with MUDdddddd . I cannot count the times he has gotten his truck stuck and a couple of which Mom was called for help. :). (mom has friends with 4 x 4 trucks to pull his out). He has always brought his buddies home to stay the weekend and eat my cooking, which makes me feel special that he brags on me. I could go on and on with hunting stories and things he and his friends have done. And how I’ve gotten attached to each and every one of those boys and feel like they’re kind of my own kids, too. We tragically lost his closest friend a month ago today in a wreck. My heart is still broken from this new experience, because this boy was truly like one of my own and even called me mom. :(. Sorry, I don’t mean to bring anyone down, but it is all part of life and we get the good and the bad. We have to know that boys need to cry, too. And I saw all of them cry and it hurt my heart to see this. Boys do indeed have a caring and loving side and I feel it’s our place as moms to nurture this and let them know that it’s ok to cry when they hurt. Please don’t apologize. You’re not bringing anyone down. You are so right about death being a part of life. It’s beyond difficult to understand when someone is taken so soon. Someone who seemingly has the best years of their life ahead of them. I’m so very sorry for your loss and pray that your journey through grief is a gentle one. I bet you do have many stories of his hunts and escapades through marsh pits. I’m so glad you stopped by and took the time to comment. I didn’t say that this young man that lost his life was 20 years old. His name is Brian and he was such a sweetheart. Always had a smile on his face and that look of mischief in his eyes. Thank you for your words of comfort. Those boys have gotten into more than I could write on here, lol. Even made videos of some of it :). One day I’m sure my son will show them to me, when he is better able to deal with watching them again. And yes, they have all went around the corner of the house to “go” LOL. We live in the country, so it’s really no big deal here. And man can they wipe out a pot of deer chili! I’m sure they have! 😉 The country is a boy’s paradise. Prayers are rising up for all of you during this time of grieving. My hearts aches for the loss of these boys. As a woman in recovery, I am empathetic for anyone who struggles with addiction. I know it is so difficult to understand and such a tragic loss. It’s good to know that your boys still let themselves cry with you. I know that I will look back when my boys are older and wonder where the time went. I’m trying so hard to remember that when I’m frustrated 🙂 Thank you for this beautiful reminder! Blessings and Light to you. It is so wonderful hearing wisdom from moms whose children are grown. There are times when it seems as if time stands still and for some reason, at night, when they’re lying in bed, I’m able to see how fast time is flying by. With tears running down my cheeks, I can say, with overflowing heart, my son is the most wonderful, unexpected light of joy in our life. I can’t imagine NOT having this bundle of energy tearing through my house; riding sofa arms like horses; pounding out his own songs on the piano; and snuggling so close that he’s almost a part of me. Thank you so much for sharing this. How blessed we mommas of boys truly are! Don’t you just love those close snuggles, Julie? There is nothing better! We have several injuries from riding the sofa arms. One required stitches. Love this! I am a mom of 4 boys, ages 6,7,14,16. Your post is so true. Also any surface anywhere is made for sliding or skating. You will go through at least 3 living room suits because they make great launching pads for cool wrestling moves. They are caring and affectionate. When no buddies are watching they will gladly play with stuffed animals, dolls, and play “house”. When they are through fighting the next day they are back to being friends. Their love is like no other love you will ever experience. My sons are my life, truly cherish every minute you have with them. We are burrying my 7 year old tomorrow and he will always be missed and loved by his brothers, as well as his mommy and daddy. What an excruciating heartache to have to go through. I have learned that there are no words that can bring any comfort to a family that has lost a loved one. So, I will turn my words to our Father, God to ask for His hands to hold you all together today. I ask Him to bring you the comfort and the peace that surpasses all understanding. Although I am a stranger, I wish I could be there to help you through this moment in time. It is but a moment and soon enough you will be reunited. What stories he will have to tell you then! What things he will have to show you of his, more than perfect, new home! March 19 is my birthday and from this day on I WILL remember you and your family each new year. Everything you said is spot on. I am so incredibly sorry for your loss. I can’t imagine what you’re going through. My heart aches for that void that now exists. Sending prayers, love and light to you and the family. I am a mother of one truly special little man. Growing up my brother wasn’t like most of the wonderful boys you all have described. But my 8 year old little boy is defiantly one of the boys you have described. I love watching him play and get dirty and running to me for everything he needs and I’m not afraid too send him to his father when there is something I know I just can’t help him with. But my biggest challenge was inheriting my 2 brother in laws, father in law and uncle in law when my mother in law passed away. I commend anyone that has the strength, heart and love to care for boys and men (even bigger boys). It sounds like you have your hands full, my friend. Know that you are not alone in your struggle. I’m glad that you have your boy to light up your life and love on you. Hang in there with the others. Pingback: Being a Mom of boys…. I love your perspective here, Stacy! I cannot imagine having 7 children. You are a special kind of mom. Thank you so much for stopping by and sharing your journey. I am a 35 year old man with 2 daughters (2 and 4). I’m also one of 3 boys all 17 months apart. This brought back so many memories such as of stitches behind the ear, and in the arm pit, and under the chin . . . each one a “wrestling” “accident.” And each one on a different brother. Thank you for taking the time to comment and for assuring us that all boys need stitching up at one point or another. Armpit stitches? That does indeed peak my curiosity. Thank you so much for commenting. I love to hear the men’s perspective. Blessings to you and your sweet girls. I am a sister to 3 brothers. 2 older and 1 younger. Growing up was quiet fun! I was pretty much just one of the guys! If they climbed a tree and jumped out of it on the ground or into the trampoline I was usually right behind them. Finding a mud puddle everyday was daily routine. Playing all the sports with them was never different because my brothers and their friends never even considered that I was a girl. I grew up being a tomboy and would not change it for anything. My mom would buy me nice dresses for church yea it would o ly take one time wearing them for them to be ruined because I was not girly girly enough to take care of them. Now I am a mother of 2 boys and have custody of my younger brother who is 16 and my boys are 6 and 6 months. Everyday with them is still a surprise. It is bever a dull moment. Now I see why my mom would scream at us to stop before she had a heart attack! Lol. I’m not as bad though because I did most of the stuff myself growing up. I most of the sit back and laugh and have the first aid kit ready. Enjoy them while they are little. They are a blessing from God! I’m so glad you stopped by and shared. I myself am a tom boy like you with 2 older brothers and 1 younger. The one thing that was not mentioned is how my brothers liked to make me hollor. We always were playing jokes on one another, like turning the light out when someone was in the shower. I now have a girl (10) and a boy (8 almost 9). My boy is not as rough and tumble as my brothers were but he is all boy and his sister is what I call a princess tom boy. She plays in the mud with her brother. My boy likes to sneak into our bed in the middle of the night and I swear he can’t sleep any closer to me than if he was under my skin. I am a mom of 3 boys, 16,14&10. Plus I raised my niece and nephew (my older sisters), he is now 21. My two younger sisters also have three boys 16,16 &13. Our kids have grown up together and we all live in a little town in Ohio. The kids go to a small country school where the graduating classes are only about 160 kids and everyone has attended the same school together since kindergarten. I live on a small farm with a small patch of woods with a creek running through it. Boy Heaven. Oh the stories I could tell you ladies! I wanted to say that it gets worse when they are teenagers. The smells, the attitude, the creativity of ways to go to the emergency room, the inappropriate sense of humor and the smells. Oh My! If a boy runs hurdles in track, he will be challenged all the time to see how high they can pile things up for him to clear. I don’t want to overwhelm you with stories but those are a few of the epic ones. CONFESSION: I do sometimes ground my boys just to have them inside the house and separated into their bedrooms, just so I can have some kind of peace of mind. AND I do encourage my boys to play video games just so I know where and what they are doing. I’m visual and could picture everything you were saying. I can totally see my boys doing all those things. My oldest is going through a phase where he likes to scare me. He gets me every time! Ahhhh, confessions of a mom trying to keep her sanity. Any time someone tries to school me on letting my boys play video games, I ignore them or say, “Thank you for your opinion.” It is usually someone with 3 perfectly behaved little girls or no children at all. I’m right there with you friend! YES! Amy, on Saturday my husband called me on a shoot to ask where the boy’s soccer socks were. When I asked if he had looked in a few different places they would be, he assured me he had and they weren’t there. When I got home, guess where I found 3 pairs of clean soccer socks? In the drawer he said he looked in! I was an only child until my brother hit the stage when I was 18 so when this I laughed because he was with me all the time and I had a trial run at parenting with him. It never ceased to amaze me how he would find a “cape” and turn into superman. The day I had to take him to the ER for what was thought a broken nose I was halfway hysterical and the nurse walked in, bless her heart, saw his bloody nose and red cape and just smiled and asked the resident Superman how he was feeling. It was then I learned to expect all the accidents that boys get into. What a fantastic nurse to respond the way she did. I’m sure your brother was like a son to you and what a wonderful sister to let him play like a boy and then make sure he was taken care of. I’m certain the loss of your brothers has stayed with you. I’m so glad you stopped by and took the time to comment. Okay, Jodi, I must know… was the candle burning for an entire week or did you relight daily? Ha ha! I can Totally relate! I have 5 boys and grew up with 4 sister and the finally a brother. You pegged boys right on the money:) Did you mention that they are ALWAYS hungry? The amount of food they consume is baffling. They are truly bottomless pits! Thank God for Costco!!! You will say, “No, you can’t drink your pee” more often than you can imagine! Love this post! I am an only child and mom to two boys. I had no clue what raising boys would be like, let alone multiples. Everyday is definitely an adventure and no matter how smelly or dirty they get, they still give the best bear hugs to their momma! I get asked frequently if we’re going to try for a 3rd to “get a girl” but in all honesty, if I do have another baby, I’d hope for a boy! It is indeed an adventure. A smelly, beautiful, fast, adventure. Blessings to you on the journey. I am a mother of 5 boys. Someone asked me if I had thought about trying with another guy so I could have a girl….???? It was not funny to my husband. Love everything about this. I have 3 boys 10, 7 and 3 and we were blessed with a lil princess this past September! Everything you stated is spot on! I couldn’t imagine my life any other way! I have recently started keeping a journal for each of my children to fill with the little day to day things they do that make me laugh, smile, and just proud to be they’re momma! I love that you’re keeping journals for each child. That’s wonderful! I wish I had the discipline to do that. They will be such treasures. Thank you for stopping by and commenting, Cala. Take all this times FOUR! My four wonderful boys did it all, said it all ! I raised two girls and now have five grandsons. A learning experience. I’ve seen much of what is mentioned. They are all delightful. I had two girls as well…..19 years apart, with the same husband/Daddy! My younger daughter was 5 when my first grandson was born. Three more boys came along and the 4 boys and their aunt were more like brothers and older sister. Yes, being a ‘Gaga’ to 4 boys has been a learning experience but such a joyful one. All those things are spot on! My “little boy” could find mud in a desert! Keep loving and learning about them. Because one day you may hear a 30 year old pastor say on Mothers Day, “I stand before you and tell you with no shame, I am a Moma’s boy and proud of it!” That’s MY little boy … All grown up with a ministry for The Lord, a wife and a little boy (and girl) of his own. Awe, I love that Karen! Congratulations on raising a wonderful son who isn’t afraid to admit he’s a mama’s boy. They will always have small “presents” in their pockets, find every opportunity possible to jump in the middle of a puddle, can turn anything into a super hero cape, will jump and climb anything they can get their hands on, if you don’t tell them other wise will wear the same socks over and over again, want to be just like their daddies when they grow up, and will remind you every chance they get that you’re the best mommy ever. OOOOOhh! The socks! I’ll take the dirty toilets over the socks any day! I’m so glad you stopped by and left your comments. This is priceless! I loved it and every word is so true! Bless you and your family! I love the way you describe them eating everything and needing to put notes on special things. I’m impressed they read the notes. Even now when my boys have friends over they go straight to the pantry. It’s unreal how much they can eat. Bottomless pits for sure! The shoes they go through! Holy cow! We should by stock in new balance. There are many passages from Proverbs that I cling to. You are so right about that. I’m so glad you visited the site and took the time to share your experience and wisdom with our community. I look forward to looking at your blog and seeing what your family is up to. Wow! BRAVO to you, mama! Yep, I know the worry about whether or not the doctors will suspect foul play. My hubs and I have discussed that. Thankfully it has never been an issue, but they are always thorough when asking the child, “Now, what happened to your head?” That’s good right? There is nothing easy about it and sometimes I wonder how I survived and how our marriage is still in tact. I have huge respect for you raising 4 so close together. I have could not agree more! I have two boys, ages 4 and 2. It always sounds like a nascar race track at my house. I grew up with a sister and had no idea what to expect. Thankfully my mother in law has helped me along the way. Everyday is a different adventure, a different boo boo, but always the same tight hugs that almost knock you down and the sweetest I love you’s. I do love those tackle hugs. Those are the best! Thank you for this post :,) I have two sons, ages 5 and 2 who I love to the ends of the earth and back. I always hoped for girls but God had other plans… I am expecting again and just the other day my husband and I we’re discussing how we would handle another boy. In actuality I wonder if I would even know what to do with a little girl after having two boys! It sounds like you’re a great mom. You are in the thick of things with 5, 2 and a soon newborn. I hope you have some close girlfriends to lean on. I loved this! It’s so true. I have 4 boys, ages 19, 17, 15, and 9. I have always heard and truly believe that boys are harder to raise when they are younger with the noise level, energy level, and mess but so much easier as teenagers. There is not the drama that teenage girls often bring. So many people dread the teenage years but I am enjoying them. I think that one key to parenting is to enjoy every phase. I adored the infant stage and loved the preschool stage even though at the time it seemed to last forever. Now, in retrospect, it flew by! My boys are loud and rough (I loved the comment about loving violently, so true!) but they are also respectful, helpful, and loving. They never outgrow the roughhousing and climbing. My teenagers still literally climb walls, but now its the outside walls. If there is a balcony or roof or railing, they will find a way to climb to it! And I know they won’t outgrow it because I have 3 grown brothers, who, although two are doctors and one is a vice president of a company, still chase each other around the house and wrestle when they get together and they still climb trees. LOL! Never a dull moment with boys! I am trying to consciously enjoy every minute with my youngest because I know how fast time flies. My absolute favorite time of day is meeting his school bus in the afternoon. I brace myself, because he flies off that bus at a full run and throws himself into my arms. He loves his Mama! My teenagers will allow my hugs and even hug me back, but I miss those days of full tilt hugs! Enjoy the journey! I know what you mean about those hugs, Stacey. There’s nothing else like them. I’m so glad you stopped by and commented. Ps…#14 even at the age of 18!!! You forgot to mention the petrified frogs at the bottom of the toy box and your tupperware dwindling away from making homes for grasshoppers and lizards. LOVED this!!! I LOVE being a BOYMOM!! Mom of 2 boys 18 yr old and 12 yr old. I didn’t grow up listening watching or reading about sports 24/7 now I am in a house full of testosterone and EVERYTHING in a boys/guys life is related to some type of sport!! Listening to all 3 of my guys communicate this includes my hubby is at times like listening to a different language! Have fun and keep loving being a BOYMOM! By the way have you seen this site? I love it!! http://www.boymomdesigns.com and no I do not work for them I just enjoy their stuff. I so know what you mean! My boys (including my husband) have conversations, video game marathons and wrestle around like puppies. I enjoy watching them. It’s rather fascinating. I haven’t seen the site, but will check it out and I’m sure several other moms will too. Well Joy, you have certainly hit the nail on the head! I have one girl and three boys. My daughter is a sophomore in college, and my sons are now 18, 17 and 17 (four in three years). What a ride it has been. They didn’t have much growing up as far as cool, expensive toys but that never bothered them. They made up the most insane games you could ever imagine. One afternoon when I peeked outside to check on them they were in the front yard, one boy stood on one side of the front walk, with the other two on the other side. They had sharpened long sticks into spears. The object of the game is for the one boy to stand still while the other two launched spears to see if they could hit them. Needless to say we had many trips to the ER. One year was especially rough, our family got into boat racing for several years, one summer my oldest son went to a race in Illinois with a family friend and wrecked his boat, they sent him to the nearest hospital and were afraid that he had a broken hip, so they transported him by ambulance (a four hour ride) to Cardinal Glennon in St. Louis, (we lived 45 minutes from there) where they discovered it was only bruised. Two days later he had some buddies spending the night and were camping down by the lake. They had managed to sneak down some cans of spray paint and were throwing them in the campfire to watch them explode. My son did this and it didn’t explode so he went to adjust it and when his face was only inches away it exploded, 2nd and 3rd degree burns on his face and arms. An ambulance took him a mile down the road to meet the helicopter which took him to St. John’s hospital where he spent 6 days in the ICU burn unit. He was 13 at the time and now at 18, you can barely tell. A couple months later another son picked up a 22 pistol that my husband had, for some insane reason, left loaded and it discharged in our bedroom, it ricocheted off of our vaulted ceiling and struck his twin brother in the upper side, they called it a gunshot wound to the chest. No adults were home at the time as my husband was on his way home from work and I was on a job interview. When I got to the hospital it was discovered that the bullet had struck a rib and bounced out, he was sitting up in bed laughing and joking when I got there! How lucky. When a DFS worker got there to question him, he said well yes he shot me but I shot him with a pellet gun last summer, but he stabbed me in the foot with a pitch fork and I only stabbed him with a kitchen fork. At this point I just stood up and put my hands behind my back and said “just take me away”. It all ended well but it was a traumatic couple of months. Now every New Years when everyone else is making their new years resolutions and hoping for prosperity or a successful diet for the upcoming year, I just pray for no ER visits. I am sure you are probably thinking that I am a horrible mother but the truth is I supervised my kids very closely, but the fact of the matter is that you cannot watch them every single second! They are all outstanding young adults and have respect for and from everyone they know. You made me laugh…. I remember when one of my sons tied himself in the tree in front of our house …. Upside down. When no one responded to his cries for help, he tore a limb from the tree and threw it at the picture window. Yep… The sound of breaking glass brought me to his rescue. I grounded him for “General stupidity,” as who could tie himself upside down in a tree? Mothers of sons cannot make this stuff up! Grounding for “general stupidity.” That is HILARIOUS! You are so right, Mothers of sons cannot make this stuff up! No one would believe us if we tried. Are you kidding?! There’s no judgement here! The times my boys have hurt themselves the worst has been when I turned my head for a fraction of a second. My boys are still relatively young and we have been to the ER more than my daughter has in her 16 years of life. We’ve got your back here. You are definitely not a bad more. Thank you for sharing this Lisa. Regarding #14, my older son commented on his younger brother’s odor after he came in from playing outside one day. The younger one exclaimed, “I don’t stink! That’s the smell of fun!” Ever since then, we say, “You smell like fun.” It has its own unique smell, and it is the scent of little boys, wet puppies, sweat, and fun! Kathy, I absolutely love this!!! I like your saying so much better!!! I love this goes along well with our saying – the browner the bath water – the better the day! I can REALLY appreciate smelling “like fun”. I’ve been reading the flow of your posts nearly all evening. As the eldest of 6 and the mother of 2, it has definitely been fun. However, unlike most of you, we adopted our little girl, because we wanted a “Vietnamese girl”. Then we had a boy, because we wanted our own after we adopted. The plan was to have 12, but after 1 decided 6 was good. But after a C-section, decided 2 was fine. It’s definitely had its ups and downs. But I wouldn’t change it. They are both grown, and have both been ‘ours’. She was mostly girlie and bossy. He was all boy. Once in a wedding as a Junior Groomsman, he agreed to wear the tux, but originally refused the ruffled shirt and said his sister could wear it. (He was 6). She’s now the mother of our 3 wonderful grandsons-23, 17, and nearly 9. For living far from us, we still speak with them often enough they know who we are, and how thoughtful, they are. I used to send money for the boys report cards. The middle one recently, said to not bothering to send him money for his card, just send it for his little brother. (He knows we recently retired and haven’t figured out the finances yet.) Our son is 37, still single, and still not fond of hugs from mom, but will when asked. All are very dearly and fully loved and loving. Thanks for your time and your blog. Having five brothers, this is pretty accurate. They can be crazy, crude, and plain weird, but when it comes to it, they can be sweet and loving too. They do the strangest things like spooning the dog, or thinking that the cd with the bandaid will work in the x-box (it broke the x-box, and didn’t work) but they can also lie and say that dad told them that you had to walk home together. And you are right, it’s never easy, but nothing you can’t handle. The bandaid on the CD is awesome. That’s such a boy move. I’m glad you survived 5 brothers! Holy cow, I bet you have some great stories that maybe weren’t funny at the time, but they are now. This was a wonderful article! I’m not even a mom, but I am a nanny of a 3 year old boy. This article helped me to understand him more. Thanks for the article!! Hopefully we’re helping you prepare for your own little one some day. Know that you have a team of mamas who, though we’ve never met you, are rooting for you. It’s a fun ride and you have the best of both worlds with a girl and a boy. You can do it! BRAVO!!! I have such respect for mama’s who do it alone. It’s so challenging even with a partner, I can’t imagine doing this alone. I don’t think I could stay sober! And what a mess that would be! Let’s not think about it! If I may lean on your wisdom, what would you tell those of us with boys 10 and under? If you could only give one piece of guidance, what would it be? Many women are reading the comments as well and I know that they, like I, would greatly appreciate your insight. They would make great Product-Durability-Testers! Constantly testing the durability of all things by banging, smashing, throwing or even sitting on it! Although they don’t genuinely mean to break it– if it can be, they will! Delores, ever since my boys could scoot around on their belly I have said that very same thing. “If you want to know if something will last, send it to our house!” 😉 Some things didn’t last 5 minutes. so true! As a mom of three boys, life is anything but dull…did you mention the belching on command part? There is also the farting on command! I raised two boys and even at the ages of 47 and 45 they are still my boys and always will be! they are surprisingly sensitive… just when you need it. My first son (2.5 yo) will randomly tell me he loves me… and go right back to building something with his logos. love my boys. 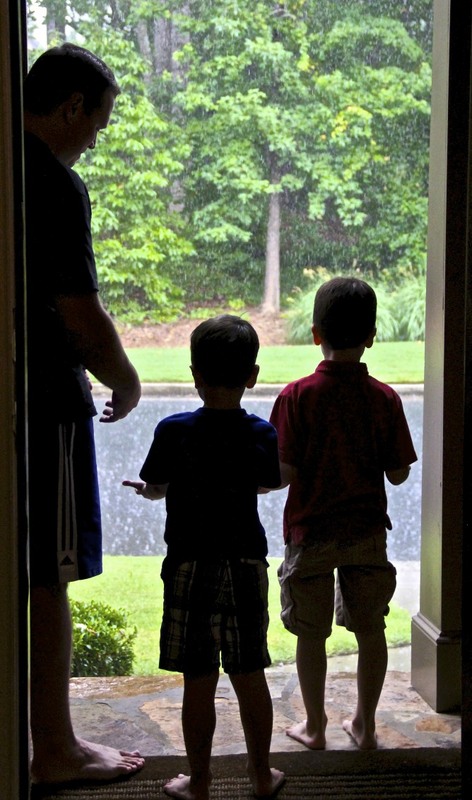 My boys show emotion when I least expect it and can I please say that it’s one of the most difficult things in the world to watch when they are getting in trouble with their daddy. Thanks for reading and taking the time to comment. Enjoy that precious toddler. Soon you’ll be dropping him off at school. You left out the part about them passing gas! !LOL It’s like a competition around my house! My boys are 19 and 13. I always wanted 2 boys after growing up with 3 sisters. My boys are as different as night and day, but I love them both so much and couldn’t imagine life without them. My oldest is away at college in another state now and wants to be his own man, he gets annoyed at me for asking so many questions about what’s going on in his life. I can’t just stop being his mom!LOL They grow up way too fast, I am not ready to have an empty nest in a few years. Thank you for making me cry this morning! OMWord Lynn! You are so right! Sometimes I will go in their room before I go to bed, long after they have fallen asleep. I kneel beside their bed or lie down next to them, look at their growing legs that often wake them up at night with growing pains, run my finger across their brow, and listen to them breathe. This is when I’m able to talk to God about these little boys and their future. This is the sacred time. Thanks for reading. I went to your blog and see that you have 6 children! Wow. A 15 passenger van. I love it! Joy, I so enjoyed reading your post just now (shared by a friend via Facebook), and I’ve also enjoyed reading all the comments. Funny how God knows when we need a “renewed perspective.” For me, your post & reader comments have just given me just that – and also reminding me I belong to a “mom’s of boys” club I never fully realized existed. I’m an only child, grew up out in the country (so no neighborhood friends/boys), oldest by 12 years of only 3 cousins (they were 800+ miles away, so we didn’t get much time together), and my few close friends growing up just had sisters. As a tomboy far removed from being a girlie girl, I always hoped & prayed (& BEGGED!) God would bless me with boys….and he did. 🙂 They are now 9 & 5, and leave me speechless almost daily! Your list & the reader additions ring absolutely true with me. From Day 1, I’ve been in awe of the brute force used when playing with their toys and just the pure, raw intensity in which they do everything. Looking back, I should have bought stock in BandAid and Neosporin. Seriously. Thank goodness there is an express clinic (and also a 24-hr ER) located a stone’s throw from our home. And yes, after….oh, counting off-the-top-of-my-head, maybe…30 or 40?! combined visits by both boys to both locations thus far….well, let’s just say they DO know us when we walk through the door! Stitches, staples, casts, bandages…. sadly, I’m afraid we’re just getting started, as neither has shown any sign of scaling back their perceived invincibility. Ah Friend, I can so relate to the frustration and needing a renewed perspective. One of the reasons I wrote this post was to remind myself of how quickly they go from baby to toddler to full blown boy. Everything you said is relevant and accurate. We can all relate to the noise with dirt on it that are our boys so many days. It’s so important that we share experience, strength and hope with each other on this journey. 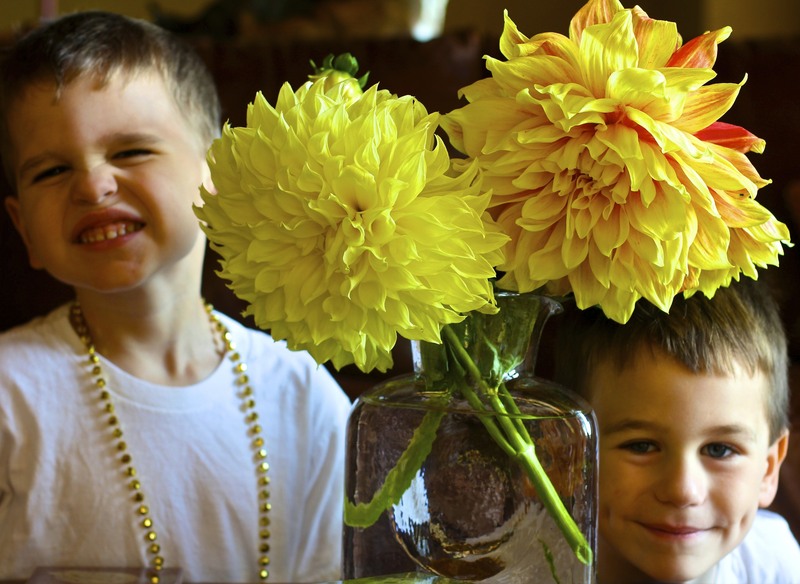 Being a mom to boys is certainly not for the faint of heart. It’s for the strong, courageous, Lioness. That’s what we are! A Lioness! I’ve often said women who are moms to 3 or more boys should automatically be eligible for sainthood! Thank you for the encouragement – it is most definitely appreciated. It’s interesting that you say that. I am working on a post now about that very subject. Hang in there. It was by far the most difficult time in our marriage, but when you come out on the other side you know each other better and have a deeper respect for one another. I’ve just started this, my boys are 2 (Febuary 7th) and 1 month (born Valentines day) we also have my sister and 1 of her 3 boys who’s almost 2 living with us. What we’ve noticed with boys is that they like to try and fly. Anything they can climb and jump of they will. All the toy boxes lids are gone, side tables are gone, stools, chairs are removed from their grasp. Both of the 2 year olds have already had a few ER trips EACH for busted lips and bleeding gums( no broken teeth thank goodness) A bird bite!, swallowed rocks, quarters (yes a quarter!) and other misc when they find them in places you know you just swept/vacuumed. They can’t keep their hands out of their pants when the discover they have “parts” even in public! There is no power on earth that will stop them from putting their fingers in their noses when the discover they can. Mud is delicious! Especially if its laden with teeny tiny rocks. You will never be able to keep them clean when going outside if there is a patch of mud in an entire yard they will find it when you’ve turned away and they will roll in it, especially if your going to church/weddings/funerals etc. I’ll say this though they make life very interesting and it’s all worth it when at the end of they day they climb up into your lap and give you a kiss and the biggest hug. A bird bite? Wow, that has to be an interesting story! When the boys get a little bit older, say 5, they will be more manageable. They will continue to be rambunctious and reckless, but in a different way. And I’m guessing with each stage of growing the definition is redefined. I don’t know where you are in the country, but looking at the time you posted your comments I’m guessing you were up feeding your baby. Those exhausting middle of the night feedings will one day be remembered as precious, quiet time. You hang in there, Darlin’! You’ve got your hands full! All blessings to you and your crew! I have a young sister, so I knew only girly things. I prayed for girls but was blessed with two boys. I couldn’t imagine my life without them. They are 7 and 4 and full of energy. I never imagined that I would be looking at bugs and frogs. Or how rocks seem to collect everywhere including the washer and in bed. I have a chronic pain condition called RSD and my boys are very protective of me. They know if I’m hurting we will have school in bed that day or that there are some things that I can’t do. They understand and are willing to help most days with cooking, laundry and other tasks that I have problems with. How do rocks end up everywhere?! The forever mystery. I’m so sorry for your pain, Rebecca. I have a friend with chronic pain and it’s no joke. Some days she would rather die than endure what has become her normal. How wonderful to have precious, attentive, boys. 4 and 7 is such a great age. No more diapers. They can dress themselves, brush their own teeth. You have a few moments in the day to exhale. Blessings and Light to you on this journey. I love this!! I raised two sons…one thing I never expected was when they grew up how protective and loving they are to their mama. It’s the sweetest love I’ve ever known. This made me cry…my oldest is 18 now and it went to fast. Enjoy every single moment-cause yesterday he was holding my hand going down the stairs…. Just this morning my youngest was holding my hand to walk down the stairs. I squeezed it a little tighter wanting to make sure I burn into my memory this day when his hand is still smaller than mine. I know before too long it won’t be the case. Thank you for reading and sharing this, Amie. We are so blessed with our boys. The more “boy” they are the more they are crazy about their own little girls. Both my boys grew into amazing men who are the fathers of little girls. They’ll do anything to make their angels happy. Ballet, dress up, tea parties, whatever it takes to get that smile. One of my best friends in the whole world is married to a man who I tell often is the perfect daddy for girls. He has tea parties and yes, does whatever he can to get a smile from his girls. I love that. It takes a very special kind of man to father girls well. I know you adore watching these men you have raised with their own precious little ones. I have 3 boys as well, ages 11, 5 (almost 6), and 2. They are always competitive. Protective of their moms, and always a momma’s boy. Dad’s are the cool ones who they try to copy, but moms are their everything. And, they will do everything they are told not to, just to try to prove that they can whether they get hurt or not. And they will climb on everything, even up the walls in the hallway. And, they really do wear their hearts on their sleeves, but try not to show it. That’s a full time job! My youngest is in a big time daddy phase. He will ask me for something, I will respond and then he will ask his dad anyway. At first it frustrated me, but now I’m grateful he looks to his dad for answers and guidance. When it comes down to it he chooses me to put him to bed, kiss his boo-boo and sing to him after a nightmare. It’s a pretty great deal after all. I am treasuring all the comments and experience shared here. They’ll climb anything and touch everything! So much energy and curiosity. And they are so sweet. Caring. And Loving. You have everything when you have boys! Where would we be without our sons? Where would we be without our boys? I would still be stressing out about things that don’t matter. They have taught me so much about life and I can honestly say that I view life through different eyes. Clearer eyes. I try to embrace the curiosity and learn from it. At times the frustration clouds the beauty of the moment, but I am trying to do better. I love this!!! Only thing I would add is the wrestling factor. I have three boys who wrestle constantly. I cannot believe I forgot to add that, Summer! Another mom mentioned her boys wrestling as well. My boys definitely “roughhouse” as we call it. I’m learning that their level of energy is foreign to females and they must get it out or they misbehave. I’m trying really hard to separate “haven’t gotten all the daily energy out so I’m acting like a lunatic” behavior from regular ole “boy” behavior. I’m still learning. Thank you for this. I also love being a mom of all boys. My boys are now 27, 25 and 21. How fast the time went by and now they are men. The good news is they still seek guidance from mom and dad. The only thing I would add is boys are more sensitive than we think. My boys are very thoughtful and yes there is a special bond between mom and son. I miss my boys being younger but its fun at all stages of life. Thank you so much again for your insight. I love hearing that they still seek guidance from mom and dad. That tells me that you are wonderful parents! Congratulations of raising three productive members of society. Thank you for the reminder of how fast time goes. Love this! I’m the mom of 3 sons, ages 31, 29. & 26! It should probably also be added that you need to learn to talk “boy” language so they can understand what you’re trying to say, hide the matches because they will light something on fire, and every time they walk through a doorway or walking down a long hallway, they will jump to see if they can touch them……yes, even when they’re grown!! But, you’re right, they do give the best hugs….and kisses…..you know they mean it whenever you get one…..no matter who’s around! I can imagine how important “boy” language is, especially as they get older. Thankfully we haven’t had an issue with matches (yet), but I’m not leaving it to chance. Thank you so much for reading and commenting. I look forward to the years ahead. These posts are awesome, they have brought back so many memories, I have laughed & cried. I am the mother of 1 son, 14, & nothing surprises me anymore! Let’s not forget that not only is fart still the funniest word ever, they will run a country mile to find you just so they can fart on you! When they are small, double check the bathroom door, even when it looks closed because there’s just something about that pretty blue toilet water that screams “jump in & play!” And when you ask them to do something, step by step instructions are a must. My son was 9 & had some baney chickens for pets. My husband told him to go up the hill to the barn & “gather the eggs.” He splattered our roof with almost a dozen eggs! When we asked him why, his response was “you didn’t tell me what to do with them!” We had to laugh, but not in front of him, lol. Thank GOD for little boys!!!! I’m so glad you stopped by, Virginia! It’s unreal how obsessed with potty talk/functions they are! Sheesh. The ER will be like your 2nd home – they will think of ways to get in trouble that even in your wildest dreams couldn’t understand. Yep, we’ve made quite a few trips to the ER. Alyson, how old is your boy(s)? Can’t leave out all the critters they chase, catch and bring you. Or how they seem to break everything (can’t really keep nice things around when you have boys). The doors it opens jn helping us as women understand how a man thinks (Like having to be very detailed on what you ask them to do). Oh despite all the craziness, I wouldnt trade having my boys for ANYTHING. I thank God he chose me to be a mother of boys BC he found me strong enough to do so! Brandi, having boys has no doubt helped me understand Chris better. I’m much quicker to show grace for things that occur just because he’s a man. As far as nice things…forget about it! Nothing of monetary value can be kept lower than 6 feet off the ground and even then it’s in danger of being taken out by a nerf dart or plastic ball from hungry, hungry hippo. I too am so incredibly grateful that God found me fit to be a mom to boys. What a beautiful adventure this life is. Thank you for taking time out of your busy life to read and comment. I sure do appreciate it. When they are little their favorite word is “why?” When my son became a teenager (he’s now 19) the “why?” was coming out of my mouth 100 times a day as I would find the messes and destruction left in his wake. I still don’t understand the thought process that goes into leaving every cabinet door and drawer open One thing for sure, tho– is, as a mother of a boy, never EVER leave knives, superglue, paint, etc out when you go to bed at night because if they get up before you………. Oh and scissors!!! Never leave scissors out EVER!!!!!! Julie, this made me laugh. OMWord, you are so right! He wants an explanation for everything. Thanks so much for reading and contributing. I am 45 and still a “boy” at heart. I enjoy getting dirty, playing in puddles and love a good potty joke. I tried to warn my wife about what was about to come when our son was coming a couple of years ago. She really had no clue as she was a girly-girl and grew up with a sister. She is starting to get it and I think she enjoys the humor that comes from just letting him be a boy. I don’t think she ever quite understood how I got all the scars on my body until she saw him in action. I still have to hold her back when he wants to dig in the dirt, jump in puddles and pick up everything he finds in that dirt to check it out. I think I softened her a bit in the time we spent together before he arrived by being a boy myself. Having dogs also prepared her to accept a bit of a mess. Dogs and boys can be quite similar at times. I love watching her enjoy this little ball of energy and love and learning how to accept him for being a crazy boy. He has helped her overcome fears and realize that the simple things in life (jumping in puddles) can make someone’s day. Watching the two of them warms my heart every day and I can’t help but laugh at her when she has a look of distress because she isn’t sure what to think of him. As for him, I am just happy to now have an excuse to be a boy again. Great story and congrats on being such a good mom to your family. I LOVE LOVE LOVE that you shared your experience and perspective from a man’s point of view. Thank you so much for that! It’s hard for us gals to truly grasp that. The fact that you embrace the little boy inside who never grew up is awesome. I have found that those who don’t are exhausting to be around. This sentence, “He has helped her overcome fears and realize that the simple things in life (jumping in puddles) can make someone’s day.” made me tear up a bit 🙂 I think every mother of boys would agree. I am so thrilled that you stopped by! I am the oldest of 5 girls and I have 2 sons (32 and 17). I thought I wanted / needed a daughter but God knew I needed boys. I was a bookish, girly-girl who has learned to love mud between my toes and to look at bugs outside. My oldest son practically potty trained himself by dropping his bottoms whenever he was wet – usually in the yard.They are hunters, outdoorsmen, sports fanatics, and cooks. They had to learn to cook and clean so they can take care of themselves. Raising them is a continuing adventure. As we await the birth of our 2nd grandson, we can’t wait. I have always been terrified of bugs. However, after years of my boys coming to me with closed hands only to open them revealing the latest find in the dirt, I have grown to really appreciate the beauty of insects. I even photograph them with a macro lens now! It is definitely an adventure…everyday…everywhere. My youngest still would not be potty trained had he not been able to christen the nearby foliage. Congratulations on your second grandson! Your daughter in laws are fortunate to have your wisdom. Thank you for sharing this wonderful article of your life. I am the mother of 3 boys; now 33, 30, & 27. Yes, raising boys is a challenge but it’s worth each and every one of those challenges. When I was expecting our third son someone made a statement to me so incredible that I will never forget it and I share it as often as I’m given the opportunity. Of course you know people are always meaning well and saying things like “don’t you hope it’s a girl” or “don’t you wish you’d had a girl?” As I was talking to this friend and telling her of various things that are said, she looked at me and boldly said “The only thing sweeter than two boys is three” (she was also the mother of 3 boys). I will never forget that statement as long as I live and it has been with me all of these years. Of course I do love little girls too. I have 2 grand daughters and another on the way and I love them to the moon and back. But I wouldn’t trade my boys for the world. Thank you again for bringing a huge smile to my face as I read your post. What a wonderful statement! The only thing better than 2 boys is 3. That’s a wonderful friend. Congratulations on your growing family. I’m so pleased you stopped by, read and took the time to comment. 25. Having an adult son will make your heart expand and break all over again, in new and unexpected ways…. This is fantastic! Thank you so much for these additions. You are so on target. #25 makes my eyes well with tears. I know I will have adult sons before I know it which makes me even more eager to embrace every moment with them. I did see your previous post and commented on it. I see that several other people have been to your blog who stopped by here. My boys are 17 and 25 (how did that happen???) and I read this post with a smile on my face. Truth. I’m so glad you stopped by and read the post. I know what you mean. I asked myself the other day when looking at the hangers that are now too small for their shirts, “When did this happen and where was I?” For the first few years I was in a sleep deprived fog 😉 I slowly emerged from that phase and this season is fun! I’m so glad you took the time to comment. I am also a mother of boys. I would add another lesson to your list. They will take care of their mom. My boys are now 16, 18 and 20. 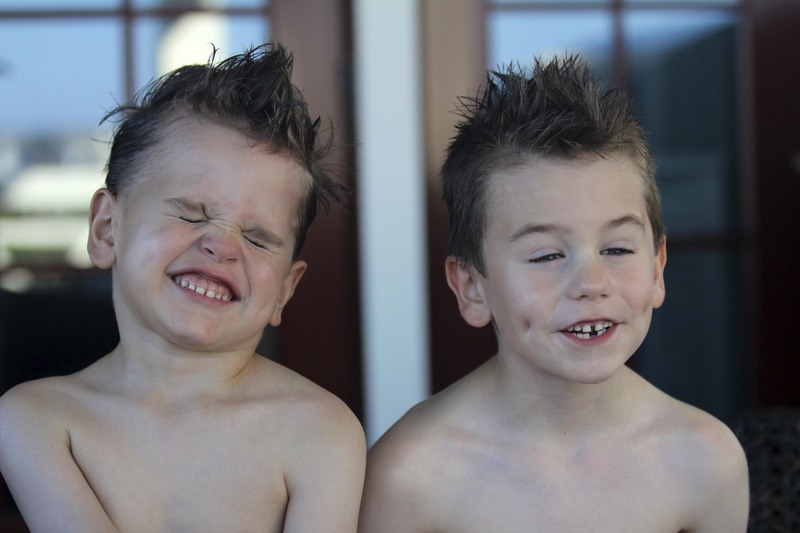 I would not trade a minute of being a mom of boys. Last march I found out I had breast cancer. They have been my cheering squad and my support system. On days when I felt bad because of chemo, they were there to help. They have cooked dinner, sat with me through treatments, helped take my shoes off when my hands wouldn’t cooperate due to neuropathy and were just always there when I needed them. They are the reason I do everything, they are my life! What a beautiful depiction of unconditional love. I hope that you now have a clean bill of health. I’m so grateful that you have your boys and they are incredibly blessed to have you. Blessings to you on this journey of healing and wellness. Thanks for the chuckle….I could relate to the entire list! I am a Mom of 4 boys (no girls). Although it has it moments (sometimes days, sometimes weeks) I wouldn’t change it and can’t imagine life any different now. Thanks for the encouragement and a great reminder of just how special these little men in my life are. God Bless. I have experienced those moments, sometimes days, sometimes weeks as well 🙂 I’m with you, I wouldn’t change it either. So glad you stopped by in the midst of your incredibly busy world to read and comment. Four boys. You go girl! Congratulations on your second baby boy! I’m so glad your first son is doing well now. NICU is a scary thing and it immediately puts everything into perspective. As a photographer I sometimes work with families who have a baby in NICU and it’s such a challenging time emotionally as well as mentally and physically. I pray this next baby will arrive on time and you can skip NICU all together. Blessings to you my friend! i loved this ! !im so glad you shared bc sometimes i feel like nobody understands. everything you mentioned is true. i have 3 boys 5,3,1 so its never quiet or boring at my house. my boys like rocks so i find them in pockets, in the bed. i had sisters and girl cousins so having boys was a learning experience for me. i wouldnt trade them for anything! Girrrrrrrl, I so know what you mean! You’re not alone! I wished we mamas shared more openly and honestly all the time. I think we could really help each other! I wouldn’t trade them for anything either. Loved this! As mom to two boys, now 17 and 16 and a 13 year old daughter, I’ve definitely had my share of dirt! The only things I can add to this would be that 1) boys put everything and anything in their pockets, and the surprises in the washing machine are never ending. ( I once found BACON in my washer!) and 2) when you have multiple boys in your house, there will never be a sweeter sound than big belly laughs from the room they are in! It doesn’t matter how many times I ask them to empty their pockets and fix their socks from inside out, it rarely happens. Even after washing socks, I will turn them right side in and the sand still falls out that was trapped in the toe. We just have to laugh, yes? They have taught me so much about letting go of the unnecessary. I am a mother to 5 children: 2 boys, 1 girl, then 2 more boys!! I enjoy each day with them all…. boys are adventurous (to say the least) … they are born knowing how to do certain things little girls don’t even “think” about! While my first little guy was still just a toddler, we had decided our home to be a “no toy gun” (and no real guns that could be seen) zone. And we didn’t watch TV, so he didn’t pick it up there either. … But as a toddler (no older than 2), he picked up a carrot and said pow pow…. and before that picked up a little car and said vroom vroom… From then on, it was game on! They know that mud is the best place to play. There is never a “too high or high enough” spot in the tree. The water is never “too deep” …. and anything that seems to be a concern for Mom is followed by “I’m not gonna break ______” … which my reply is always “that’s what the little boy said right before he broke the window with that baseball!” They smile! Sometimes they are right! Nothing gets broken and sometimes they are wrong (while I remember the big basketball imprint on the back window… fortunately there were two panes!). My big boys (14 and 10.5) play pretty rough (all in fun… not anger….I am blessed with no angry children!). And my little guys play the fun stuff: cars, little guys.. action figures, legos…OH WE LOVE THE LEGOS! especially, at night, in the dark and under my feet.. ouch! Nothing hurts like a lego! I am a daughter between two boys and the only girl in my family… no girl cousins! Just boys. I had girl friends in school, of course, but made great friends with many boys… I understood boys! I “got it” .. So, transitioning from sister to mother to boys wasn’t that difficult for me! (i was in the trees way back when with rollers in my hair just before a pageant! )… I experienced the best of both worlds! 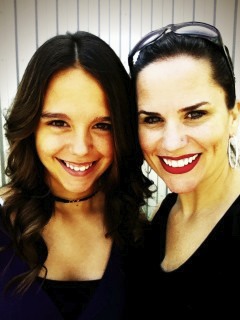 Then, I birthed a daughter… who seems to be just like me! She is a beautiful girly girl! Chatty not catty! She, too, enjoys a good tree climb, mud bath, and gun fight. She has no problem with the stick collection upstairs and wears cowgirl boots as well as those little cowboys! So, it works out for me pretty good there, too. I remember the day that mud no longer felt good between my toes! and I know that my daughter will experience that change as well, but until then, she’ll enjoy all the adventures with the boys! Loving: They all give tender loving .. the kind that blesses my heart deeply. The tight squeezee hugs that linger long after they’ve let go. They each call me mama in different ways and each sound so sweetly. My boys are very complimentary .. my five year old looked at me a couple of days ago and said “Mama, you look gorgeous today”… he, also, is the one who says I am the very best mama in the entire planet! WOW.. that’s a lot of mamas. 😉 My daughter sings to me, songs from her heart and I love that! She dances for me (ballet style) and her brothers say stop repeatedly and ask her to stop singing… they are boys! I take them to plays and ballets and they watch movies that SHE likes because she watches movies THEY like. They work it all out and they truly end up just loving their own company. I am blessed with the wonders of motherhood and am thankful for each memory I have and for each that are to come. (My oldest is excited to now just have passed me in height and is counting down to driving permit day!) … it’s about to get exciting in a whole new way! I’m so glad you shared this! I love all the things you added. I love that your daughter does ballet and sings for you. That brings back memories for me as my girl is now 16! Yes! The adventure is about to change for you with an up and coming driver, but it sounds like you’re an incredible mom who loves her children. They are so blessed to have you as their mama. Thank you for stopping by, reading and commenting. I love hearing from readers. You left out not realizing that one boy was capable of having five (5) concussions and living…and that a three year old in Superman pajamas should not be allowed on the top bunk. And that boys like snakes. In the house. Loose. Here’s to 24 hours boo-boo free and without snakes. As I got done reading this, my 7 year old son comes in the house to change shoes bc he’d gotten into the mud in the back yard. Not 5 mins after that he comes back in the house bc he slipped in thr mud and had a nice “mud streak” down his back side. I just had to laugh and tell him to change clothes. And he’s always running around in his undies. My daughter is girly girl to an extent bc she loves doing her hair, nails, and makeup, but she loves to get dirty and play sports. Thanks for this article it is so true. I love my boy hugs and the sweet notes my son makes for me. My boys found the mud today too. I can hear the washer working hard as I type this. Thanks for reading and commenting. I know that every free moment is precious and I appreciate you spending them here, with us. I love this, you have described the experience so well! In our family we now have a 17 year old son, 16 year old daughter, and then a big 7 year gap to our 8, 4, and 2 year old sons. I also have 3 brothers, but we had sisters between each. As my parents and I will attest, boys together are a whole different kind of noise :). I used to get angry with their noise too, but then my hubby explained to me one day that he loved it, because it reminded him of the noise of home (he was the oldest of a 4 boys). They are loud and rough-n-tumble, girls are chatty and squeally. One hilarious example of this is the difference between all the girl slumber parties our daughter has had (which drive dad and oldest bro out of the house, lol) and a sleepover we allowed our 17 year old to have for his birthday this year. With the girls parties we have the usual giggling and screams and squeals til well after midnight (even though its been bedtime several times over) Well the teens boys were video games til 11pm, then instead of squeals and giggles we heard the occasional “thwump” or thud or belt “crack” as the boys wrestled and joked and laughed in their deep “man” voices. Oh and occasional falsetto singing too, lol. I have decided I like the boy noise much better. I have also experienced the difference between Boys Basketball and Girls Basketball, they are definitely different. Our daughter is just now getting aggressive in her playing after 3 years, but our son is right in the middle of the action, getting his head thumped, falling on the floor, etc. to get the rebound. But its more than just that, that could just be personalities. In general, watching a boys game is more aggressive, fast paced and organized. The boys carry so much confidence in everything they do on the court. Girls not so much, lol. Oh, and one more thing to add to your list…kinda goes along with the lack of clothing: never -ending posing and showing off their muscles, pit hair, facial hair, and general physique. Oh my goodness I have never laughed as hard as I did when my son came to me to show me his first long pit hair. But that comes with puberty, which is an experience you haven’t had yet 😉 Get ready, its way different than with a girl! They are all different, but oh so much alike! Love my boys! And my daughter loves them all too! I cannot even think about them getting hairy and posing for mirror selfies!!! When I went to wake them up for school this morning I looked at their growing bodies lying in their beds. Time passes so quickly! It sure didn’t feel like it a few years ago, but it does now. You’re so right about the squealing from girls. Holy cow! HEADACHE. I love what you said about boys being a “different kind of noise.” Great way to put it! You have the best of both worlds with your boys and girl. So fun! Thanks for stopping by and giving us a glimpse into your everyday. Three boys! You go girl! Fart is the funniest word ever and they never grow out of that thinking. I am grateful for both genders. It’s a fun journey. Very different, but such an honor to be chosen as a parent. This is great! I write a blog about raising my two little boys. I also grew up with all sisters. I recently wrote a blog about the same kind of thing. http://mommyismyfavoritename.blogspot.com/2014/01/snakes-and-snails-and-puppy-dog-tails.html I didn’t have as many bullet points. it looks like my boys are a little younger then yours but it gives me lots to look forward too. 🙂 Life with little boys is a ride! but man when they say “I love you mommy, they mean it!” LOVE LOVE LOVE this! It is quite the ride! Especially for those of us who grew up with sisters. From the comments I’m reading, even those who grew up with brothers seem to be rather unprepared for all the surprises that these little men bring with them. Well, i was raised with 2 brothers older than me, tons of boy cousins, then came along nephews, my daughters ages 22, 15, 9, i thought i love girls i got this down, then came my baby boy, now age 6!!! I definatly wasnt ready for what i was about to experience!! Anger, major anger, busting things, everything outside somehow ends up in the creek, many many cars and trucks put under the wheels of our vehicles just so he could see them get smashed. Lots of dirt and mud, he will find mud or make mud!! Every toy taken apart if it has screws. Brand new giant remote control truck a week after christmas was completely unassembled and no screws to be found!! If the window opens there is something going out it. New truck for his birthday next day the bottom of the lake became its permanent home. Anything that has a hole or a slit in it you can gaurantee there is something in it. Dont turn loose of the remotes they will disappear, never to be found. I have had a very eye opening road with my little man, but i can tell you this, he gives the best most sweetest lovings ever!!!! It’s astonishing how different these boys are from girls! And you can’t really appreciate it until you experience it. Thank you so much for reading and sharing your experience with these miniature engineers/plumbers/explorers/inventors. It’s so fun reading everyone’s comments and relating to so much of what is written. It’s as if we’re all in this club that we didn’t even realize we were in! So, welcome to the club! As a mother to two sons, ages 5 and 8, I’ve had my horizons expanded. I have grown to love swords, outdoor underwear-only water gun fights and little green army men. I know how to throw a fastball, whiz a football spiral 20 yards and swing a golf club. I am proud of the fact that they are not ashamed to dance in public or two-step with me. I watch them with pride as they politely hold open doors. I pull them apart during wrestling matches. I wipe stubborn tears when there is an injury. I frame their beautiful art work and take them to the ballet (despite the protests) and help them learn about a world outside sports. I teach them that women deserve respect, because I show respect to myself. I have them bake and do laundry and hold babies, because as Daddies they will need to know this stuff too. I love my boys, and I wouldn’t trade their crazy, stinky little selves for anything. You have expressed your thoughts so beautifully! I love these sentences, “I pull them apart during wrestling matches. I wipe stubborn tears when there is an injury.” This is so true and I can relate! Thank you so much for sharing your experience as a mom to boys. Isn’t it wonderful when you find someone you don’t even know who can relate so well to your season of life? It makes my heart so happy. I gave birth to 3 boys in 3 years (twins, followed by “little bro” 2 years and 8 months later). I grew up with 2 sisters and my Mom. To say that boys were a foreign concept would be putting it mildly. However! I LOVE IT! Your number 17 is literally the best part of my day, EVERY DAY. My guys are now 10 (almost 11) and 8. By this age, my sisters and I had learned to be overly dramatic, occasionally catty little divas. My boys? Not so much. They love their Momma, and they love each other. Biggest surprise for me raising boys so far has been how violently they love each other. For example, CJ gives his brother a spontaneous hug… and they both wind up wrestling and laughing on the floor. But the laughter! It’s THE BEST sound.Thanks for this post, it reads like my life! I have no idea how you survived the early years with 3 boys that close together?! OMWord! God knew I was not the woman for that job! Wowzers. Your comment about their laughter really struck me. So many times when I am trying to write or edit photos and the boys are… well… being boys, I get so frustrated by the noise. I lash out at them, only to realize mid way through my rant that they weren’t doing anything wrong. If I’m trying to concentrate I need to go to a quiet place and not choose to be right in the middle of their playtime. I know that someday I will miss those voices so much when they are not my constant companion. Thank you for that comment. Thank you. It helps me to be reminded of what a beautiful sound that is. Blessings to you, friend and fellow mom on this journey. Love this! God blessed me with three amazing boys, plus one bonus boy! I couldn’t imagine it any other way, I’m grateful everyday, as they are an amazing gift! Loved the list, but #17 was my favorite! I love a giant hug from any of them….Thank you for sharing! Thank you so much for stopping in and taking the time to read and comment. Blessings and Light to you! I truly envy each and every one of you. I was “blessed” with 2 boys with a girl in the middle. My oldest one was a total terror starting when he was 2. I was in the Air Force and my husband took care of him when he was a baby but after that it was an unending stream of babysitters, none lasting more than several months. At one point he broke his 10 years younger 2 year old brother’s nose. He also took a paring knife to his toddler brother’s neck and threatened to slit his throat and another time he went after me w/a butcher’s knife. Our insurance didn’t cover anything but crisis mental health care. After those incidents every kitchen cupboard, & drawer, the refrigerator and the pantry doors were locked with combination locks, because no matter where we hid a key he would find it. Nothing that could conceivably be used as a weapon could be left on the counters.His psychiatrist recommended that we make him a ward of the state, but we felt that the Lord had given him to us and he was our responsibility. Now that they’re grown I wonder, given the psychological abuse the other two suffered during their childhoods, and still have lasting effects from. (I won’t go into that.) My younger son was my life-saver. He was the most loving, happy child and I believe he would been one of the sons that you all described if he had had a normal childhood. I don’t say all this as a downer, but to remind you how fortunate you all are and thank you all. This conversation was a real upper for me. Wow. You have been through so much. I can only imagine what that does to a mother’s heart. How incredibly fortunate your son is to have a mother so faithful who didn’t give up on him. I don’t pretend to know your situation or guess your current circumstances, but clearly you are a woman of strength and courage. I’ve done that quite a bit given my prodigal past. I try not to do it and when I do, I must ask for God to direct my thinking. He always does. I’m so sorry for your pain. I’m sorry that you had to experience such trauma and fear. I hope the present is calm and you are able to live a full life. I’m sending prayers of love and light your way. Thank you for reading and taking the time to share some of your story. Blessings to you on this journey. I just want to say that my little brother was like this. He also threatened my life on multiple occasions starting when he was 3! We had terrible fights, once I locked him out of the house because I was scared (I was 7, he was 6) and he broke the glass door to “get to me.” Our last fight was when I was 21 and I wouldn’t get off the phone so he threw my BRAND NEW laptop and smashed it. Just real anger issues. But he is 28 now and I’m almost 30 and no fights since the laptop. No one ever really did or said anything. Cops were called a few times but he never went through with any real threats besides breaking A LOT of stuff. Just anger issues. Thank goodness no incidents for 8 years, but also I don’t live at home anymore. So know you are not alone!!! I’m sorry you have to go through it. My son is the youngest of my three children and brother to two older sisters. His is seventeen years old and was all of those things that you listed above when he was younger. I had a stick collection in front of my house and always had to take extra clothes wherever we went. My girls called him “pigpen” from the Charlie Brown comic. My daughters are several years older than him and always said that they were “raising a gentleman”. They taught him to open doors, take a woman’s arm to assist her, and how to communicate with those “strange” creatures called girls. They watched over him when he was little and protected him from the inevitable bullies. He has grown into a 6’2”, 170 pound young man and they are away at college. He misses them terribly and still seeks them out for advice. The reunions make me cry as my daughters run and launch themselves at him only to be caught up in his strong arms and swung around like a baby doll as he dons the biggest smile. You are right, raising a son can be challenging and there is never a dull moment. But, every moment spent with them is a moment to be treasured. My son has taught me so much about what is and what is not important in life and I am grateful that God saw me as a mother fit to raise a son. He is at that teenage stage right now where I sometimes only get a grunt in response to my questions. But, there are precious days when he is ready to talk to me and shares a heart that I am proud to see. I believe that my daughters were right, they have raised a gentleman. It is so wonderful to hear from you as you are in the teenager stage. I look at my boys and imagine them towering over me one day. I see glimpses of the men they will become. I was watching them today thinking how quickly time is passing. I want to embrace every moment. You are so right about them teaching us what is and is not important. That may be the biggest thing I am learning. Things that I thought to be incredibly important a decade ago, no longer seem relevant. It is such a blessing to be their mom! Thank you so much for reading and for taking the time to comment. Truly. I love that your daughters always said they were raising a gentleman. That’s priceless. All Blessings to you, my friend. I was blessed with two boys at 19 and 21. When I first found out I was pregnant, I thought “it’s going to be a girl, I can do this!” Well, I found out my “girl” was a beautiful, blue-eyed baby boy. The second time I found out I was pregnant, I thought again “it has to be a girl!” Again, I found out my “girl” would be a beautiful, green-eyed boy. My oldest son is now turning 22, tomorrow actually, and my youngest son will be 20, March 28th. They have taught me more than I have taught them, and they are still teaching me. I am the youngest daughter of three girls, even though I was raised by my dad, boy stuff was foreign to me. I can proudly say I am quite fluent in all sport activities, love fishing, playing football, will jump in a mud puddle with my nice shoes, and can handle pretty much any major crisis. My boys and I have endured more gut wrenching crisis than most families, but the three of us made it through with a deep appreciation of our strengths and weaknesses. I can truly say, I am such a better, more compassionate, “low-maintenance” person since I was chosen to be a mom of my two boys. My youngest was quite the personality, and still is! I remember crying to his pediatrician one day, after many, many visits for one thing or another, and his doctor told me “God thought you were such a special mother, that he gave you Dillon.” I said “well, I am really not that special!” I still laugh about that to this day! Four years ago, I remarried and now have a beautiful 9 year old step-daughter that I am raising full time with my husband. She is all girl. The girl I prayed for when I was pregnant. Now she is teaching me about girl stuff, and sometimes I think “God, do you think I am still so special? Is this why I have a daughter now!” She will be a very well rounded little girl for sure, if my boys have anything to do with it. As young men they make some pretty big mistakes, but they know whatever happens, I will love them unconditionally. I have never stopped making mistakes, and I know they will always love me. I have never regretted my life with boys at all, mainly because boys LOVE their mothers. It is a bond that is very hard to explain. They both still write me long letters, telling me their private wishes and thoughts. I feel so honored to know them and lucky God entrusted me with these special boys. To my fellow “moms of boys”, just hang in there, dirt will clean up, the “smell” goes away, they will never get over the thrill of peeing outside, but they will love you forever! I love your heart here. I was both smiling and tearing up while reading your story. Isn’t it wonderful how God sends someone along our path (like Dillon’s Pediatrician) to give us the small dose of encouragement we need to keep going for just that day? I love that you still remember that. How fun that you finally got your girl through your husband! She is so fortunate to have you. My favorite thing you said was this, ‘To my fellow “moms of boys”, just hang in there, dirt will clean up, the “smell” goes away, they will never get over the thrill of peeing outside, but they will love you forever! '” That needs to be turned into a pillow or print to hang on the wall. As sister to three brothers, cousin to 8 boys and two girls, lived in a neighborhood of all boys unil I was 8, you would have thought I was more than prepared to raise boys, but I was not, because I never was one! However either the Lord thought I was good at raising boys or I needed more practice as he sent me six sons and one very girly girl! I highly recommend Dr. James Dobson’s Raising Boys and Dr. Kevin Leman’s How to Make your Children Mind Without Losing Yours! We’re continuing the trend with two grandsons. All us girls ocassionally have a night out to get away from all the testosterone, but we love our men! I’m so glad you shared this! Clearly God hand picked you for this incredible task of raising all these boys! I can only imagine all the wisdom you are able to share with your daughter in laws and anyone smart enough to listen. What a blessing! Those are excellent books you mentioned and I would recommend them to any mama out there whether she’s struggling or not. They bring the best gifts, your flowers in the flowerbed, a random weed in the yard, pretty rocks, (my 22 year old brought me a pretty rock from his job site only a few months ago) When they go fishing, they like to keep “just one little fish” meaning you must buy a plastic pool or an aquarium on the way home. I finally just let him keep the aquarium where it housed numerous fish frogs and turtles over the years. You are such a fun mom! I love when you talk about buying something to keep the fish in on the way home. My hubs and I were just discussing our boy’s “rock collection” that is in the front of the house. We often trip over a new addition that was freshly placed in the small designated area. Alas, we are relocating the collection to a bigger space. God has blessed me with five boys. There are seasons when I am completely in the mode of “yes He created me for this” and others where it’s more like “what was He thinking when He picked me?” Two of my boys have mild Autism which makes it even more interesting. They are all beautiful, sensitive, curious, wondrous, loving, brilliant creatures and I have been in awe of them since the minute they were born. I don’t really think I would know what to do with a girl. And pretty much as long as they have clean clothes and food they are happy…amazing! Kimberly, wow! F I V E boys?! 5?! Darling, you deserve a standing ovation! Blessings to you, my new friend and fellow mama. This is PERFECT, times 3 in my case. I have 3 boys, all pretty close in age (first and last are 40 months apart). I’m the youngest of 3 daughters in my family, and went into this with no boy experience. Totally different than I thought it would be! They fight like cats and dogs, but they’re the best of friends…closer and closer as they grow older. They are now (almost) 13, 11 and 9…wouldn’t trade them for anything! We were sitting at the breakfast table this morning and couldn’t stop laughing about the squirrel that slid down the bird feeder and fell 2 stories. What?! When my son got home from school today, before I could say, “S T O P” he had already dropped trou by the bushes out front and was…well…for lack of a better word, peeing, to see if it would freeze in mid air. Seriously, life is grand and never a dull moment. Mom to boys x 3, and youngest of 3 daughters, I salute you! You are the woman! Oh Joy, how perfectly you described these little boys…I was raised with five brothers so I know exactly what you are talking about. I learned to love each one with a deepness no one could know and now three of them are gone….enjoy them every day and yes, be thankful He has chosen you to raise these two handsome little boys….you are doing an excellent job! Thank you Janie! I appreciate that so much!